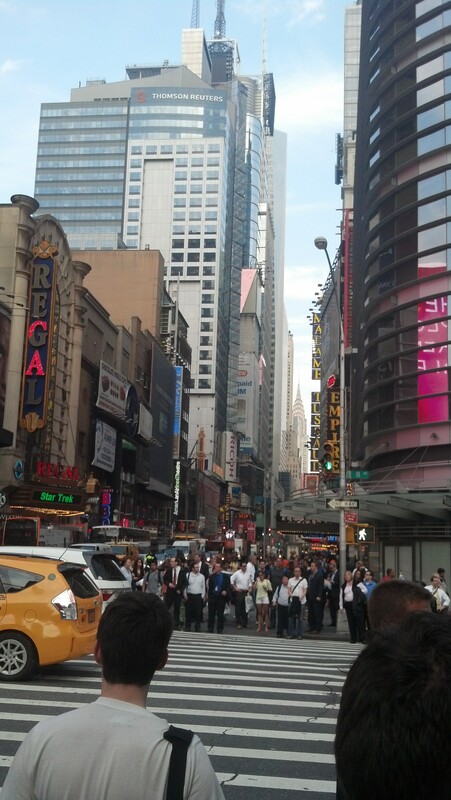 Our first full day in New York was pretty busy. 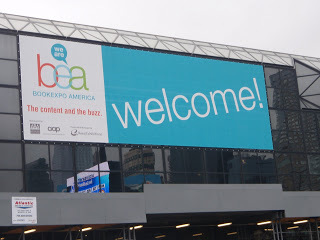 I spent most of the day in sessions presented by BEA andABA (American Bookseller’s Association). Javits Center is less than a mile from our hotel so we walked there. It’s like a whole different world here! So many people are walking all the time. And half the time they don’t pay attention to the walk/don’t walk signs. It’s crazy! 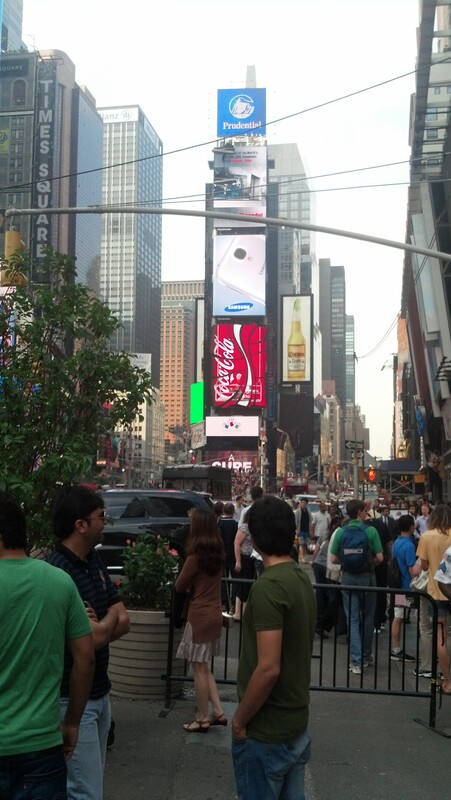 Last night we walked down Broadway and to Times Square. 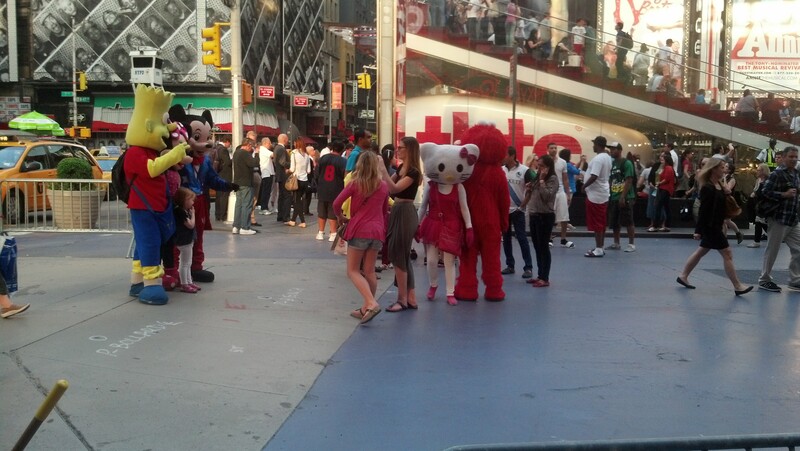 Some familiar faces on Times Square.